These are tough times but I have the tech to get you back up on your feet and if you can keep up with me you too will dominate your field and industry. New York Times best-selling author and international sales expert, Grant Cardone, will be making a rare appearance in Buffalo, New York to deliver a talk about prosperity designed to make a positive impact on the economy of the Western New York region and help take it to the next level on Wednesday, April 18 at the Statler City from 9:00 – 11:00 EST. In the space of two-hours, Cardone will infuse the audience with the fundamental precept that, "success is your duty, obligation and responsibility" and will deliver an explosive message to the participants that will strip away the false data that’s been limiting success and set the compass for prosperity. This is an opportunity that every citizen in the area must not let slip by. The workshop is free but seating is limited to 1,000 people and expectation is for a standing room only event. Get your game on, revitalize your purpose and your life - see Grant Cardone LIVE. To attend this seminar contact Sean Kipp at 716-440-4353 / Sean(at)SeanKipp(dot)com. Seating is limited so to reserve a space. Grant Cardone is a New York Times best-selling author, star and executive producer of the reality TV show Turnaround King, host of the Cardone Zone radio show and a regular contributor to outlets such as Fox Business, NBC, CNBC, MSNBC and Bloomberg. 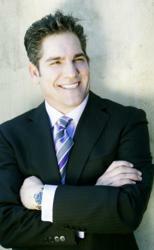 He was named the Top Sales Expert and a Top 10 Business Coach to follow on Twitter. A self-made multi-millionaire that literally created himself from nothing, Cardone is the Founder and CEO of three multi-million dollar companies. He is best known for customizing programs to either maximize a company’s profitability and brand and also has also been known for his work in turning around companies. Fortune 500 companies, small businesses, success-minded individuals and entrepreneurs in the automobile industry, banking and finance, fitness, manufacturing, MLM, real estate, retail, sales and telecommunications have benefited from his expertise. He is the author of five books (listed below) all written since the 2008 financial crisis, that provide the principles and techniques individuals must follow to flourish and win. Cardone’s ultimate ambition is to help the over 7+ billion people of this world to live more successfully, both in their professional and personal lives. Continuing the tradition of bringing innovative sales training tools, technologies, and solutions to life, Cardone has two interactive online sales training centers—CardoneUniversity.com and CardoneOnDemand.com. Follow him on Twitter @grantcardone.